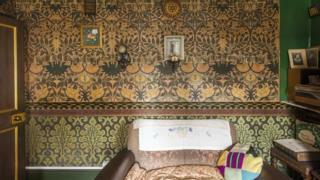 An artist who helped regenerate a terraced home to how it appeared more than 100 years ago said she was “deeply in awe” at the knowledge of a Victorian worker. 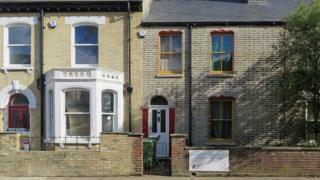 David Parr, who worked for a firm used by 19 th Century master craftsmen, covered his Cambridge home with lavish blueprints from the 1880 s.
A charity was set up in 2014 to preserve the Gwydir Street house. Saskia Huning procreated some missing wall paintings ahead of its opening for public tours on 16 May. She said she soon realised Parr had “a really good head for design, as well as has become a terrific craftsman and artist”. “I was deeply in awe of the quality of his operate, ” she said. Parr worked for FR Leach& Son, a Cambridge company that worked with leading Victorian artists, includes the Arts and Crafts founder William Morris. 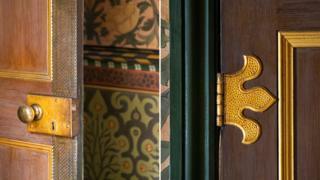 He applied some of Morris’s patterns in his house, as well as designing his own. 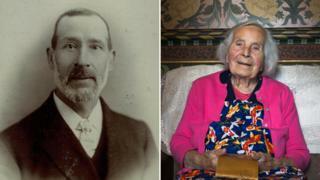 After his death in 1927, his granddaughter Elsie Palmer lived there for 85 years and left off largely unchanged.